Both options are less than ideal but with the lodging choices available in Greater KL, it’s often times an “either-or” situation with lesser mid-range options. The Hilton brand has always been synonymous with luxury and class and frankly, the price tag would often times reflect that as well. But not so much with the twin Hilton Garden Inn outlets located in Chow Kit. 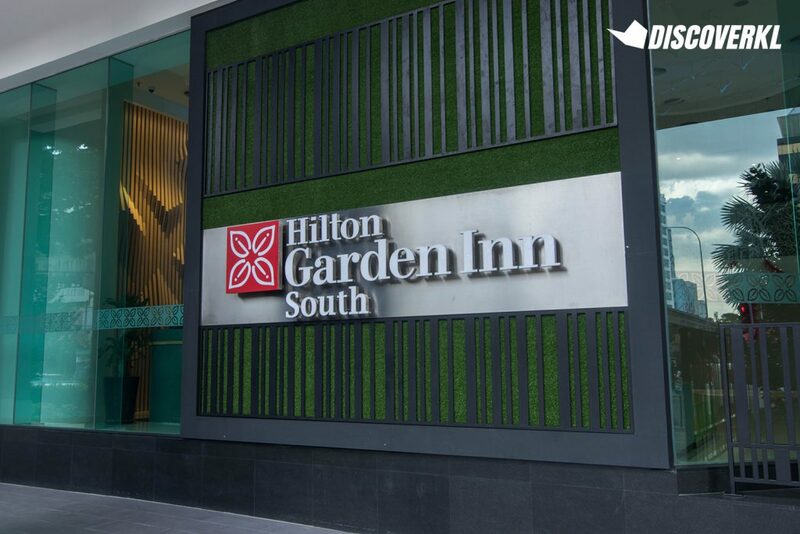 Consisting of the North and South towers, Hilton Garden Inn is strategically located in the heart of KL. Considering how it’s located in Chow Kit, one of KL’s most well-preserved areas of history, it’s also got the Malaya-era appeal that we appreciated. 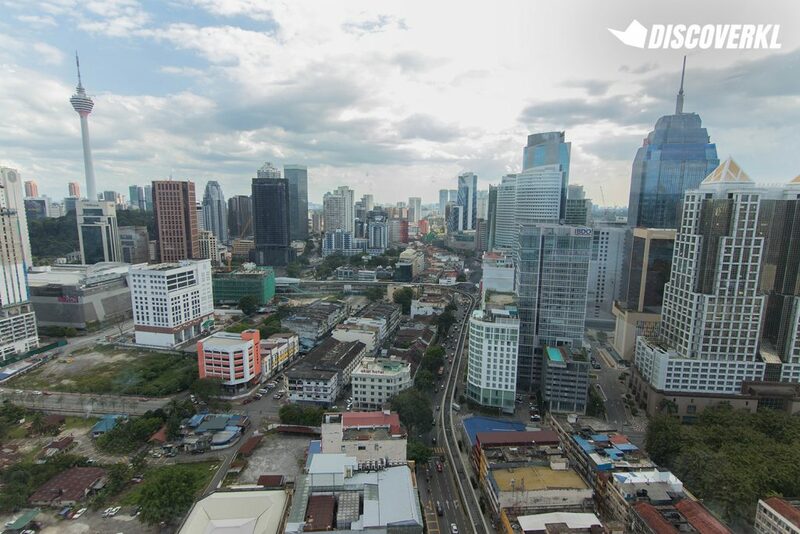 In fact, from the rooftop of the building, you can see a clear divide of a more aged historical KL on one end, and the hustle and bustle of modern KL on the other. 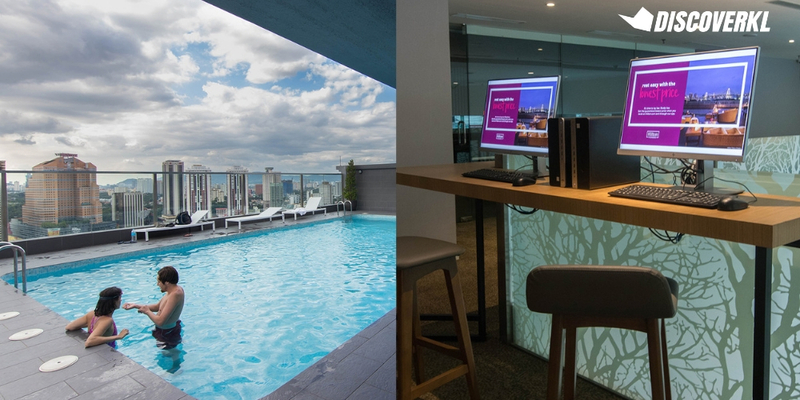 We recently dropped by for a one-night stay at the midscale hotel and found that despite its significantly lower price tag (as compared to the main Hilton KL in KL Sentral), it’s still got the comfort and luxury boxes ticked—to a certain extent of course. At Hilton Garden Inn, you’ll find a plush business lounge and a separate meeting room. 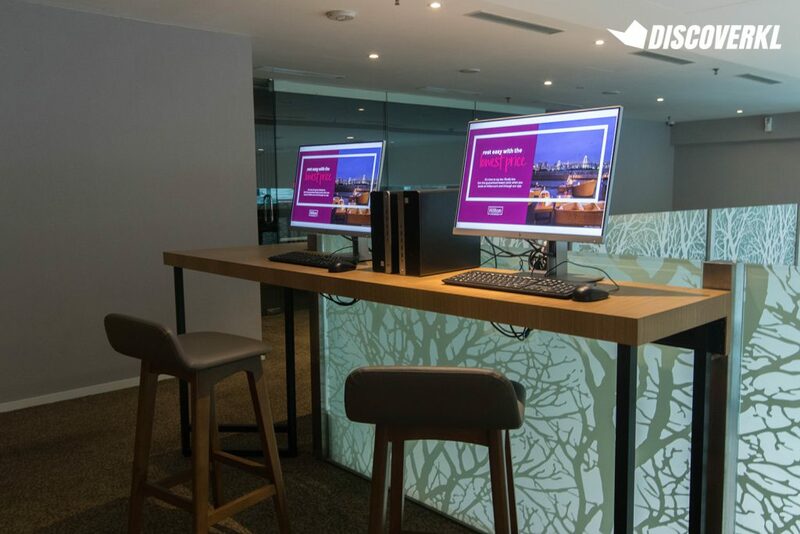 We couldn’t find any visible plug points at the business lounge so definitely have your laptop charged and ready prior to heading here. Alternatively, there are 2 desktops available for use. 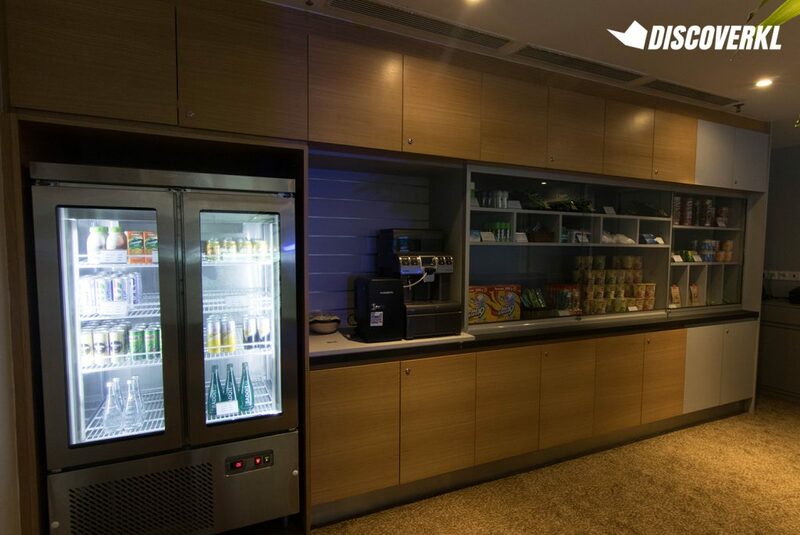 The business lounge area is located on Level 1, and overlooks the reception area of the hotel. We’re all familiar with crappy Wi-Fi speeds at the hotel (unless you fork out money to pay for WiFi services of course) but considering how I began writing this piece in my hotel room itself and had multiple tabs open, I’d say that it’s definitely above average in terms of the WiFi speed. If you don’t feel like heading to the business lounge to get some work done, you can always do it in the comfort of your hotel room itself. At Hilton Garden Inn, be assured that your toiletries are high quality ones by Crabtree & Evelyn (under the Verbena & Lavender range). Even when you’re traveling for work, comfort is key and during our recent stay at Hilton Garden Inn, we definitely got a taste of that, from the nice-smelling bath and body products to the quality bedding. It’s these little touches that help make a business trip all the more memorable. If you’re rushing on some client work, it makes sense to want to stay in and get things done. While there are some food options around Chow Kit, we did a quick check and found that they were mostly local food. There are gerais around the area with street food (which looked pretty awesome, RM1 fried chicken anyone?) but if you’re up for something a little fancier, you can get meals at the hotel’s restaurant. Alternatively, there’s also the option of ordering food to your hotel room. By the looks of it, there’s an extensive selection too. 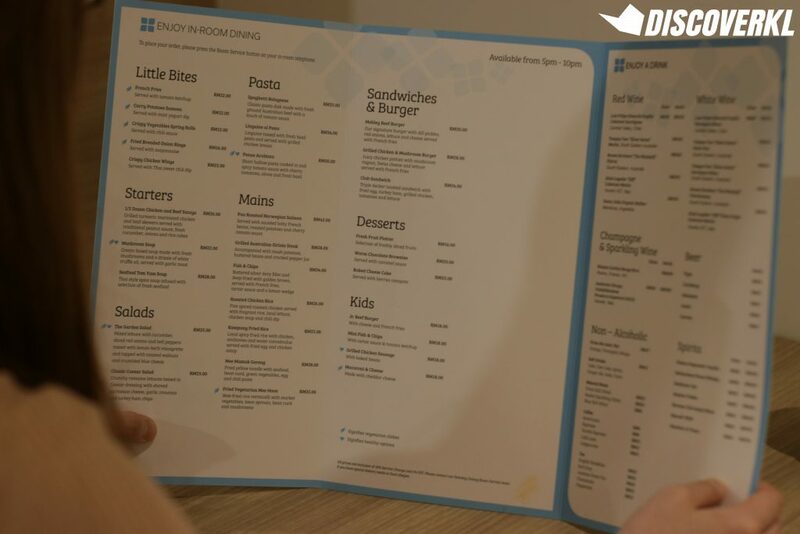 If you’re feeling peckish in the middle of the night, there’s not too many options around the area. Thankfully, there’s a pantry area on Level 2 of the hotel. Some options available are Maggi Cup noodles, chips, sodas and chocolate bars. After making your choice, you can head one floor down to make your payment at the reception area. 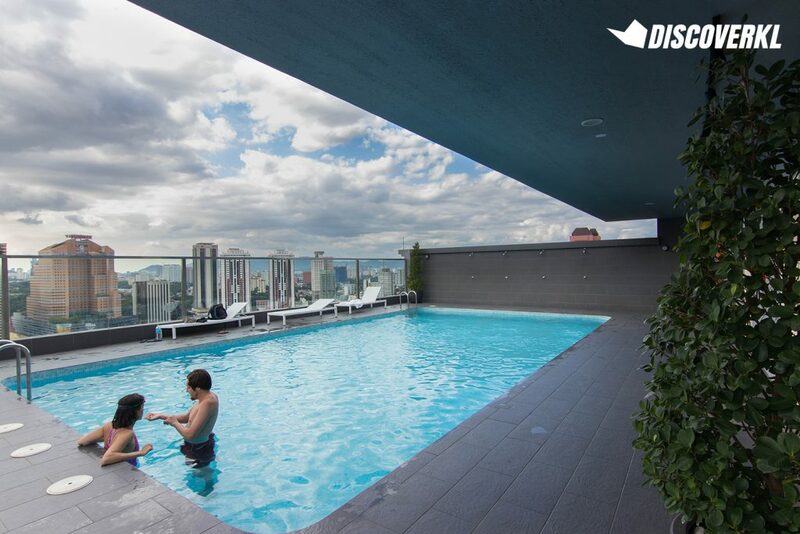 Pools aren’t out of the ordinary, especially with a hotel like Hilton. The pool which is located on the south side (1 minute away from the North side of the hotel) is pretty decent in size and there are plenty of lounge chairs for you to sunbathe on. Another plus is the fact that it’s located right next to the rooftop bar. 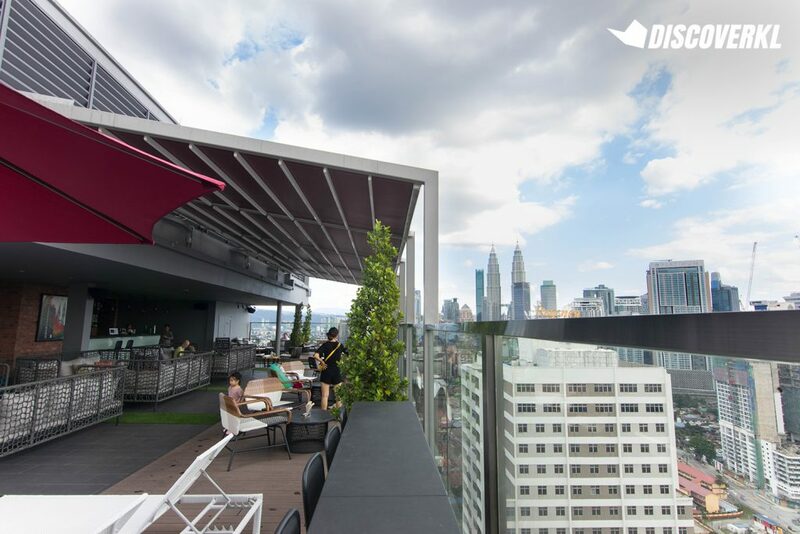 There’s nothing quite like enjoying a drink or two while taking in the KL city views. It’s definitely quite a chill place to relax and soak in the sun during the early hours of the morning or later in the evening. You can also get some work done here—just don’t get distracted by the views. 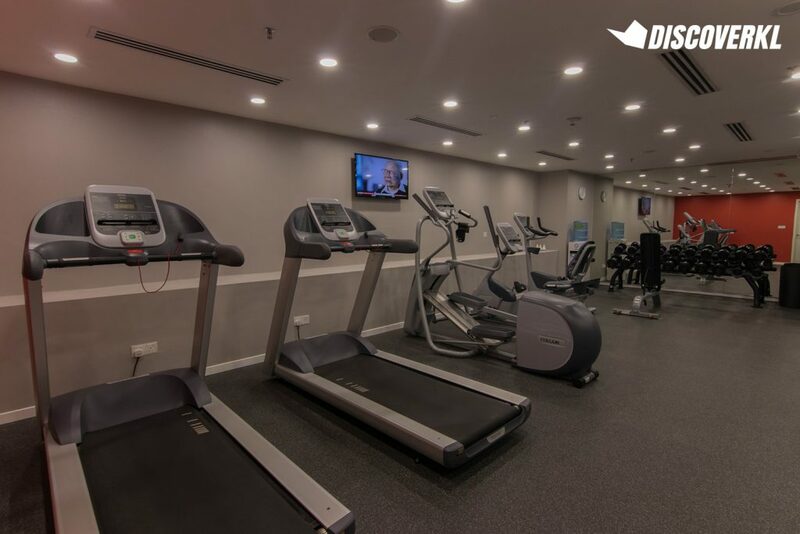 Our team stayed at the South side of the Hilton Garden Inn hotel and while there wasn’t a gym there, you’ll find one just 100m away at the North side. All you need to do is inform the staff at the reception counter that you’re staying over at the South side, flash your room key card and access will be granted. Do note that those aged 18 and below would require adult supervision. We enjoyed complimentary breakfast the next morning * (a privilege granted to those who have specifically included breakfast as one of their perks when booking a stay at the hotel). The options were pretty extensive and we went for multiple rounds. What we liked was the variety of options provided. For instance, there were Indian, Western, Chinese and local cuisines available. Finally, as business travellers, you’re probably from out of town. 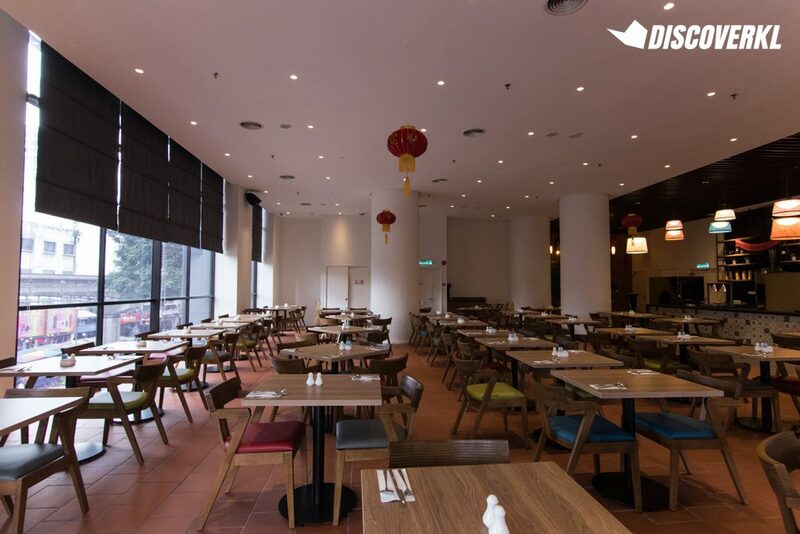 But even if you’re not, Hilton Garden Inn’s strategic location (5-minute away from the Chow Kit Monorail station) makes it an ideal spot to stay at if you’ve got wanderlust and you’re looking to cover parts of KL during your stay. When you’re not working, you can hop on the Monorail to explore around KL.